Ainsworth Grand Bazaar Slots: Take a FREE Pokies Spin Right Here. Ainsworth is known for they love of ancient mystical themes and oriental flavors that offer something different for online slot machine punters. The Grand Bazaar online slot is no different as it is based on traditional Arabian Nights tales (think Ali Baba, 40 thieves and Aladdin). However, this slot is about the grand Arabian market (Bazaar) where you can spot various items and use them to win great prizes. 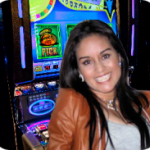 Here is a brief review of the slot including its theme, game play features and how to win. As aforesaid, Grand Bazaar online video slot is centered on the Arabian grand marketplace and features various symbols characteristic of oriental themes. While not as lively as Ainsworth slots based on farm animals, this game still provides some fine graphics to go along with the incredible prize-winning opportunities. Inside its rather dark backdrop you will encounter symbols such as mysterious lamps, mandolins, pearls and various scattered hands-of-gems. The game also has a mystical sound to keep you thrilled as you explore the gems. Its golden brown and red outline fonts compliment the black background used in the slot to complete what is a truly oriental adventure. Grand Bazaar is a typical five-reel slot organized in a 5×3 grid setting. It has 100 different pay lines for you to stake your wager. You can stake anything from 0.01 coins to 100 coins per pay line which gives a minimum bet of 0.01 and a maximum of 10,000 per spin. The grand bazaar is the game’s wild and you can use it to replace other symbols ,apart from the scatter, to complete a winning combination. The wild can also appear stacked in the 3rd, 4th and 5th reel. In bonus rounds, they become multipliers which that can double or triple your prize. Hands symbols change to sticky wilds in bonus rounds and remain fixed until the free spins are over to act as multipliers. Scattered hands-of-gems (the game’s scatter symbol) will trigger free spins and bonus rounds. Landing 3 or more scatter will activate 8+ free spins. If you get two or more scatters in your free spins, it re-triggers one additional spin for every 2 scatter symbols. Unfortunately, Grand Bazaar does not have an auto play feature so the machine cannot spin for you “finger free”. Nonetheless, it supports mobile platforms including android and iOS at select online pokies casinos. Winning prizes in Grand Bazaar should be nothing novel for punters. You need to land at least three symbols of the same kind for a winning combination. Each symbol is allocated its value according to the table rules. Generally, the scattered hands symbols pays the highest prize (1,000,000 coins for 5 symbols) while pearls and mandolins pay the least (10,000 coins for 5). Magical lamps pay 15,000 for five of a kind. Regardless of how much you stake on your pay lines, you can win big prizes with this slot. All the free spins that can be re-triggered and multipliers simply provide the opportunity to quickly increase your payout. Grand Bazaar is a fine addition to the existing online video slots and presents a chance to win some themed prizes. When looking to play Ainsworth pokies for real money, it is recommendable to choose credible licensed casinos that have a reputation of providing highly secured seamless gaming platforms. They should also offer exceptional customer support and offer a quality experience in all aspects.